Montblanc brings contemporary to classic vintage this year, with a brand new Heritage line in various models. 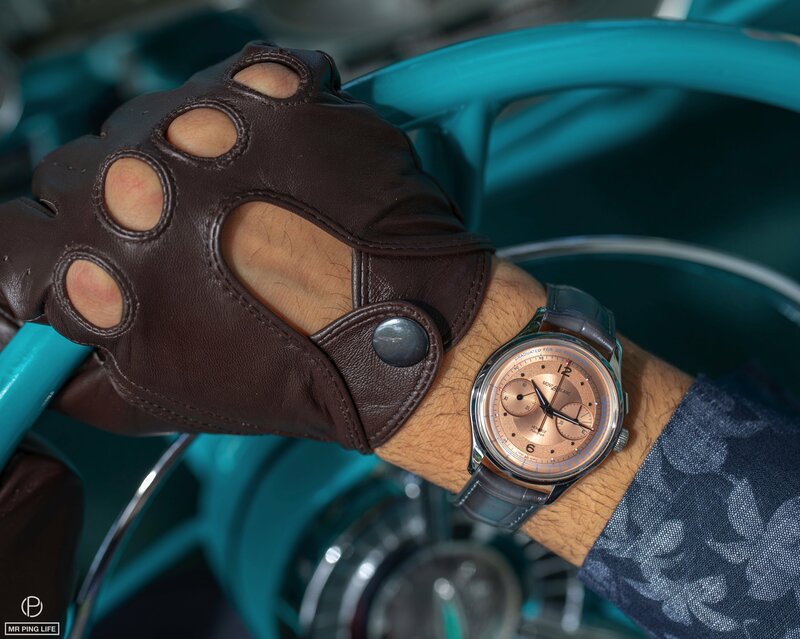 The snow-capped mountain peak brand has integrated a complete range of movements inspired by high-end past-day Minerva calibres, to a new perpetual calendar calibre and mid-range monopusher chronograph. 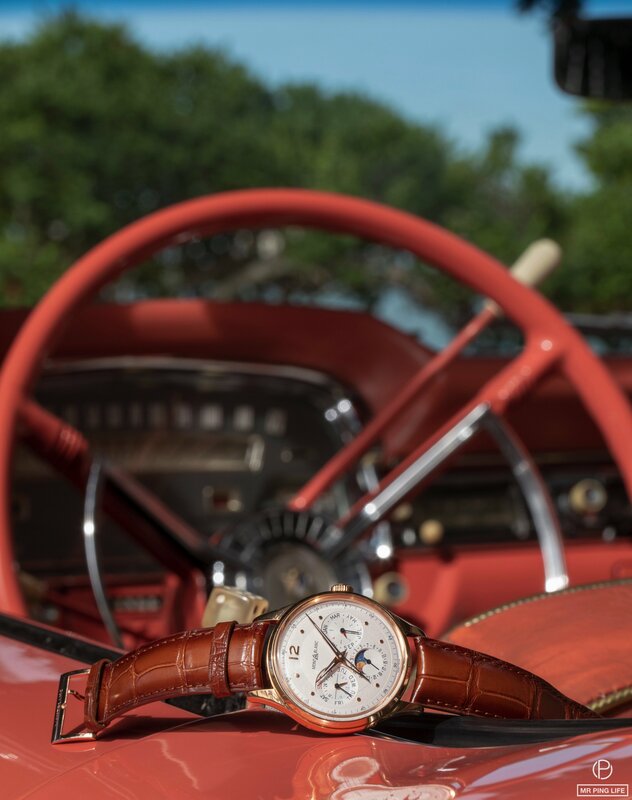 From 1940-50’s inspired colours like salmon, smoked-caramel and silvery-white, “the spirit of sophisticated elegance” resonates through the collection which was just launched at the SIHH 2019. 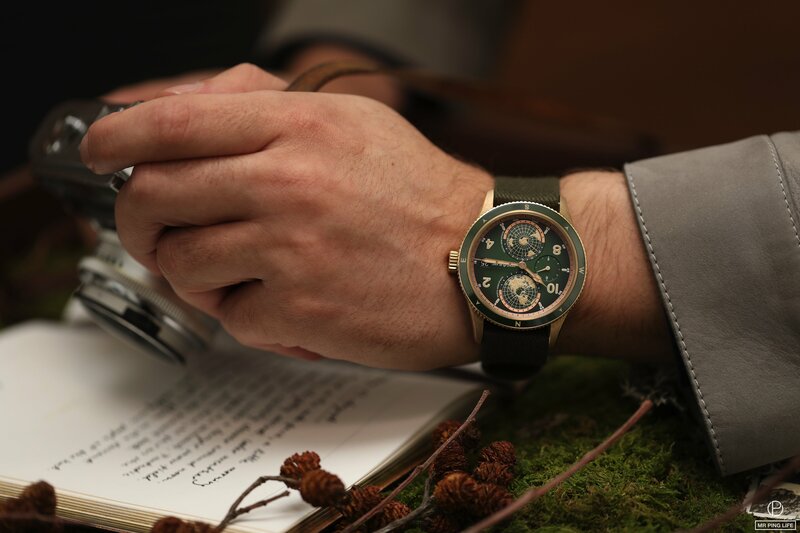 Probably the highlight of the Maison’s new Heritage line, the Heritage Pulsograph Limited Edition 100 is inspired by ‘doctor’s watches’ that were used by physicians in the past to check patients’ heart rates. The very attractive salmon-coloured domed dial is housed in a 40mm case in steel, and is also available in another color and finishing. Powered by the Montblanc Manufacture monopusher chronograph calibre MB M13.21, the timepiece includes a doctor’s pulsograph indication graduated for 30 pulsations. The completely new manufacture movement calibre MB 29.22, which indicates the hours, minutes, day, date, month, moonphase and leap year in a very legible way through large counters, took movement 3 years to develop. While most perpetual calendars use levers, this one is composed solely of wheels, enabling the wearer to adjust the watch via the crown in both directions. Housed in an elegant 40mm case in 18K red gold (limited edition) or stainless steel (regular edition), the distinctive silvery-white dial pops out with its blue and red touches. 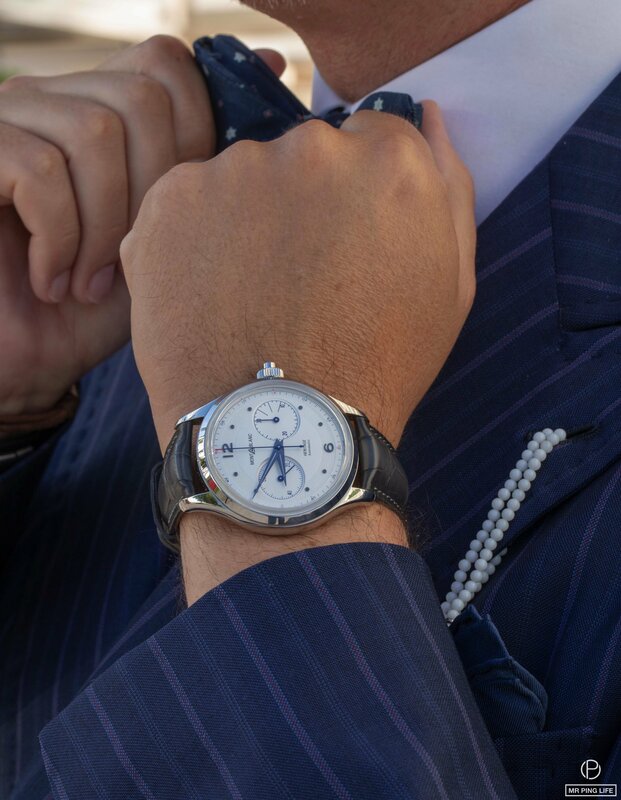 Whether in clean silvery-white or alluring salmon, the Heritage Automatic dials are adorned with applied Arabic numerals, dots as indexes and rhodium-coated or anthracite-coloured hands. A more “upscale” version in 18K red gold holds a sophisticated smoked-caramel-coloured dial with red gold-coated applied dots as indexes. 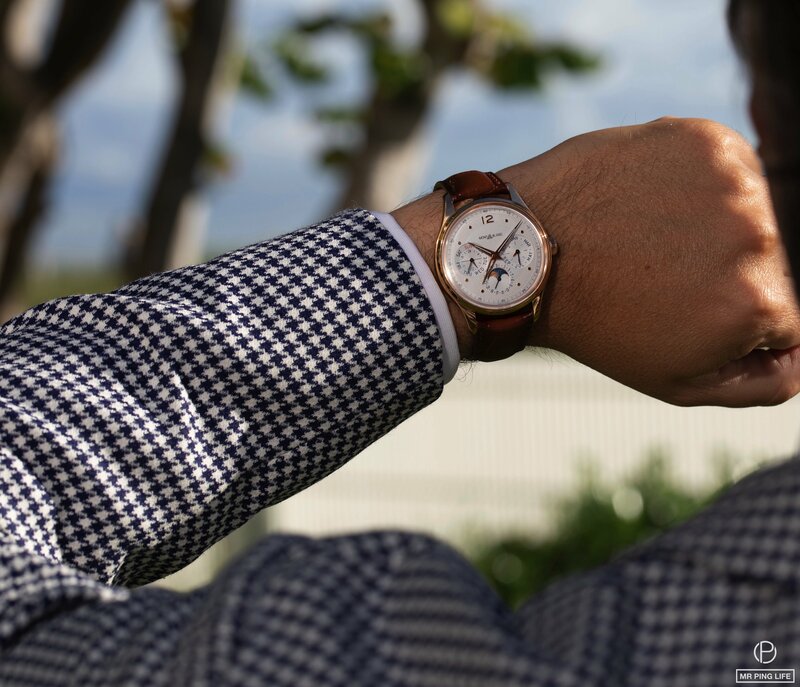 The Montblanc MB 24.27 automatic movement powers the watch for a tested 500-hour period. 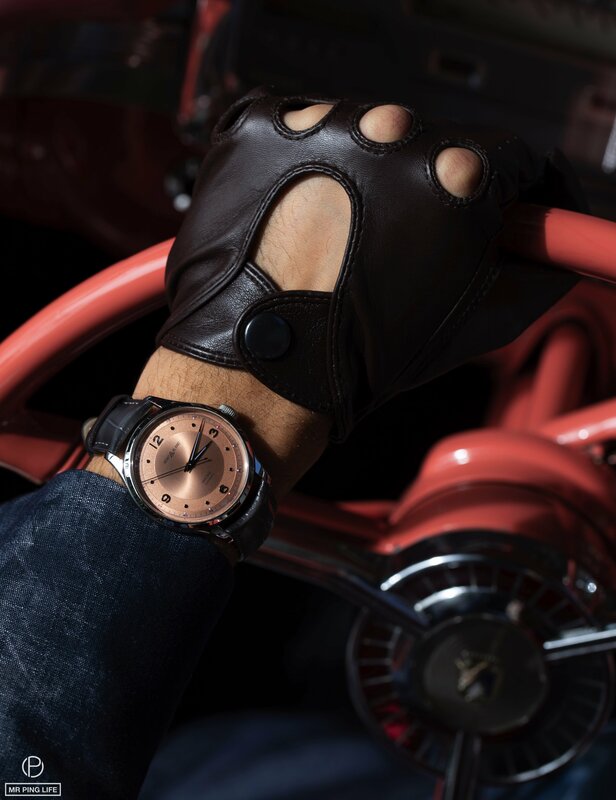 The stainless steel models are fitted with a grey Sfumato alligator strap from Richemont Pelletteria in Florence, or a steel mesh Milanese bracelet, while the red gold version is dons a brown Sfumato alligator strap. Montblanc also launched a new monopusher chronograph offering an accessibly priced model within the Heritage product line: the elegant and sophisticated Heritage Monopusher Chronograph boasts a domed, silvery-white dial with two different finishes, harboring a hint of vintage from the coin-operated telephone days when people needed to track the length and cost of a call. The 42mm timepiece takes shape in a fully-polished stainless steel case with curved horns, a domed sapphire glass box and the Minerva Manufacture embossing on the case back. 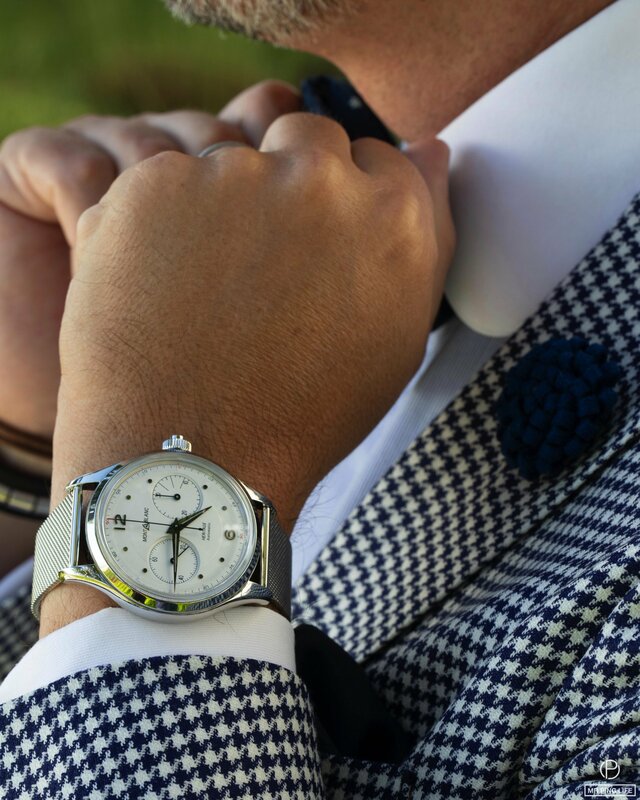 The mid-range monopusher movement is a nod to the long history of Minerva’s monopusher chronographs. 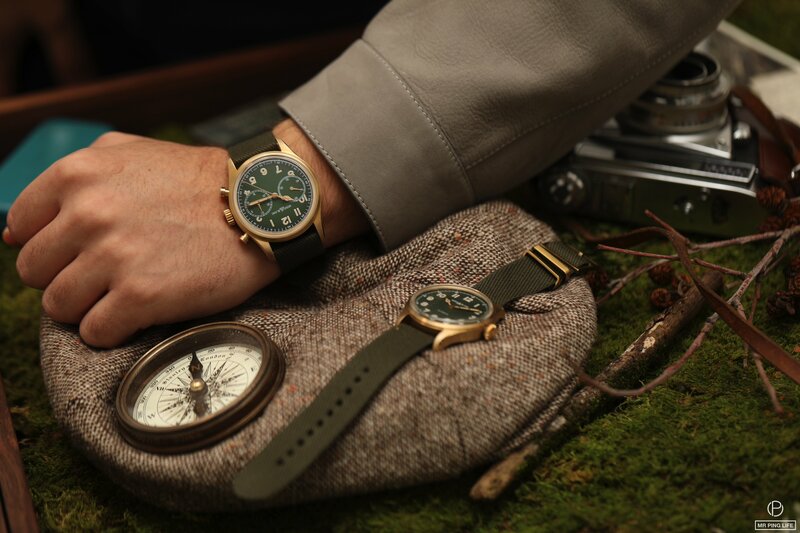 2019 also the launch of 4 new 1858 editions: 2 new 1858 Automatics -a full-bronze 40mm case with a khaki-green dial, or a steel case contrasted by a black dial); a 1858 Chronograph -in a 42mm full bronze case with a khaki-green dial creating an ideal backdrop for the bi-compax counters- and our favorite, the 1858 Geosphere, which is dedicated to the world’s Seven Summit mountaineering challenge. 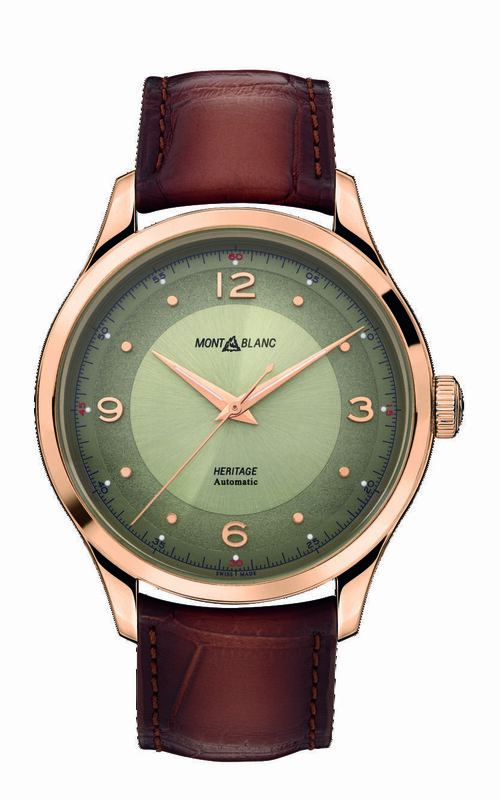 The latter is now available in this new bronze/khaki colour scheme, which is just an instant eye-catcher. 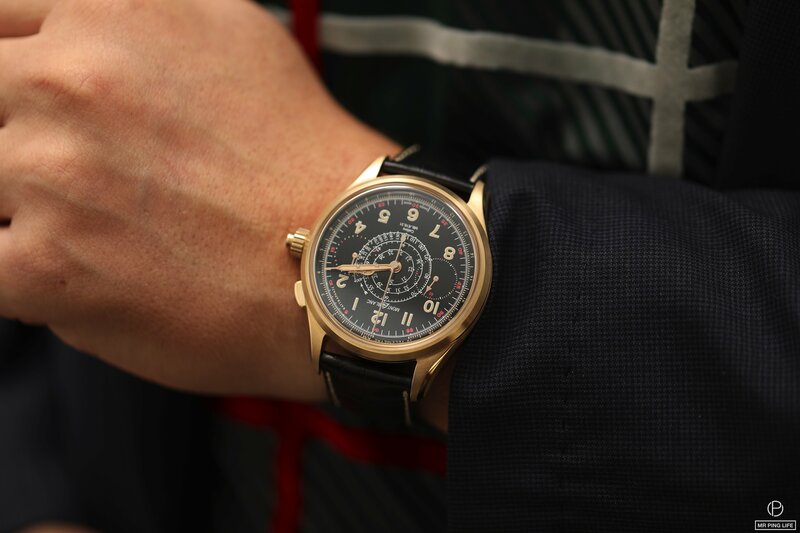 Montblanc also introduced new Star Legacy models including the Nicolas Rieussec Chronographs, and new Timewalker Manufacture and Automatic Chronographs. Stay tuned to find out more about those soon.